This week's lust is the dark red jacquard mini biker skirt from River Island. 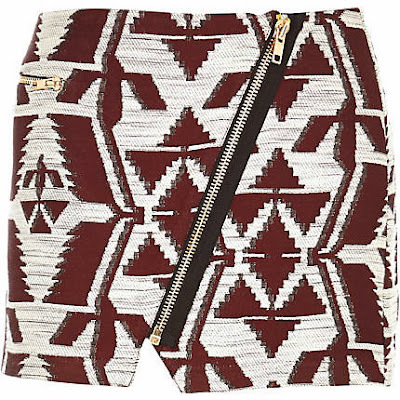 I love the aztec pattern, asymmetric zip and unusual hem line, and could easily take this from office to bar. 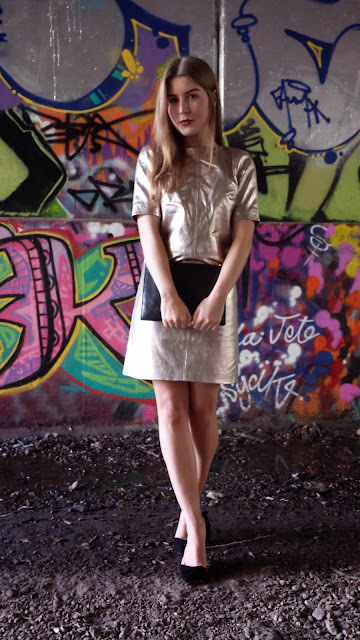 A snip at only £28, this skirt is going straight to the top of my lust list! On to today's outfit - I've been looking for an oversized coat for ages; I had my eyes on the Isabel Marant x H&M one but as you undoubtedly know, that collection has almost been impossible to get hold of! 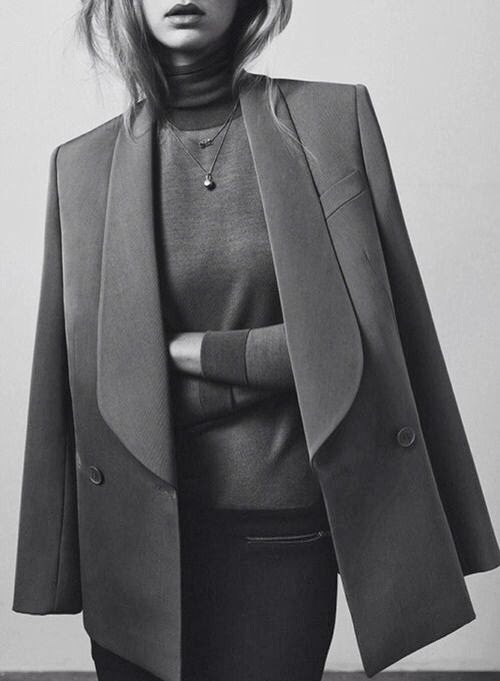 This one from Fashion Union is the perfect substitute; it's oversized just enough, and I love the leather patches on the shoulders. Fashionchick.co.uk has launched a blogger competition with the chance to go to Amsterdam Fashion Week in January. I love Amsterdam; despite its closeness to the UK I've only been once and that was for about 24 hours (that trip kind of happened by accident, but that's a story for another time!) so I would love to have the opportunity to go again and see more of it, and to go to Fashion Week would just be unreal. On day one I'd wear this jacquard panel sweatshirt from River Island with this leather pony skin effect Topshop skirt. What do you think of my picks? Have you ever been to Amsterdam Fashion Week? This is my second look for ASOS' #Tonightis for Looking Sharp campaign that I took part in with Access All ASOS. I am obsessed with leather this year and a gold leather dress is pretty unusual so this really stood out to me when I was picking my choices. I love how simple it is as well; I really thought it spoke for itself and didn't need any accessories which is why I've teamed it black courts and a mock-croc clutch, and kept my makeup minimal with just a deep purple lip (MAC's Dark Side). I can't wait to get this dress out over Christmas! I mentioned in an earlier post (and on Twitter) that I've become part of Access all ASOS which means I'm essentially an 'ASOS insider'. Each week the ASOS insiders gets invited to do something, whether it be receiving a copy of Alexa Chung's IT, interview bands, visit ASOS HQ, or take part in a styling challenge. A few weeks ago we were invited to apply for their #Tonightis for Looking Sharp campaign. Out of the applications, two girls and two guys were chosen to take part and incredibly, I was one of the girls chosen! 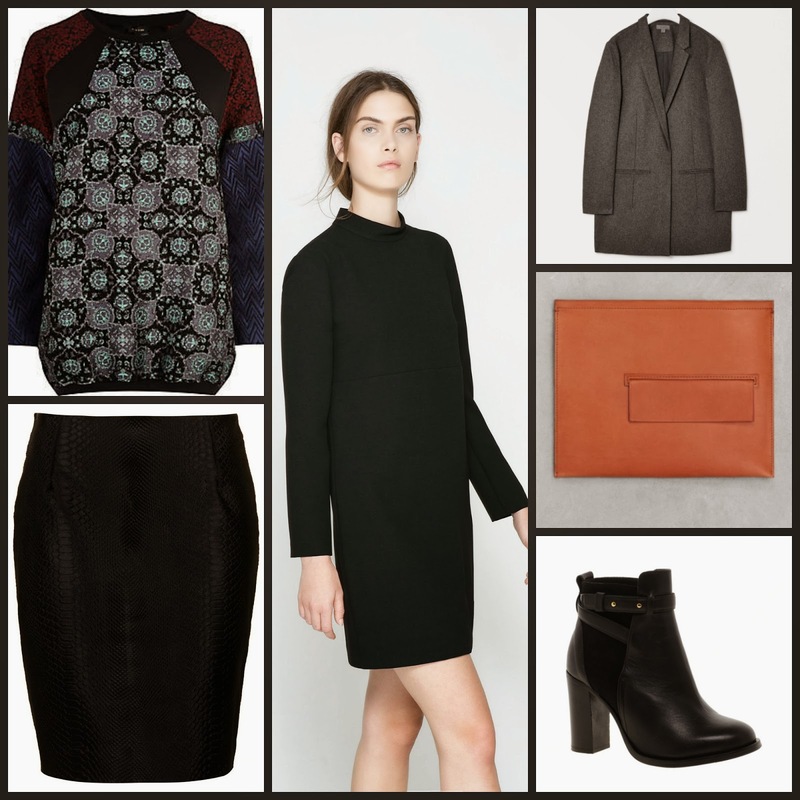 With party season coming up, we were asked to pick six items from the site to create two party looks. This is outfit number one. For this look I wanted to steer away from the usual pretty party dresses and go a bit more rock n' roll with the faux leather biker pants and velvet and mesh top. Stay tuned for my next look! This week I'm lusting after Missguided's Daria loose fit jumpsuit from their new PEACE + LOVE collection. I've never bought anything from Missguided before but this collection really is to die for. Think minimalist, utilitarian, and lots of faux leather; basically my three favourite things when it comes to clothes! This jumpsuit really stood out to me though. I love the colour, the waist and the loose fitting material. Missguided, you've outdone yourself! I will proudly call myself a convert. P.S I'm holding a bloggers meet up in London at the end of the month - take a look at this post if you'd like to come! The nights are drawing in and the layers are gradually getting piled on; that's right, winter is back with a vengeance. 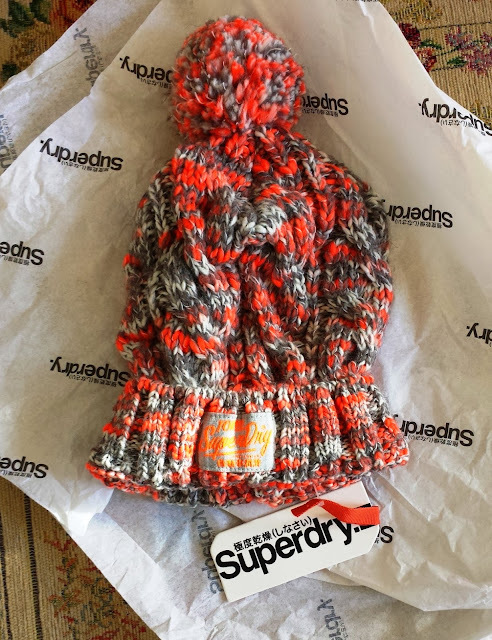 I hate to think of my lovely readers shivering out in the cold which is why I'm giving away this snuggly Superdry beanie! Just think how cosy your head will be! All you have to do is enter via Rafflecopter below. The giveaway ends at midnight on 23 November, and the winner will be picked at random. Good luck! I'm a big fan of jumpsuits and this is one is no exception. 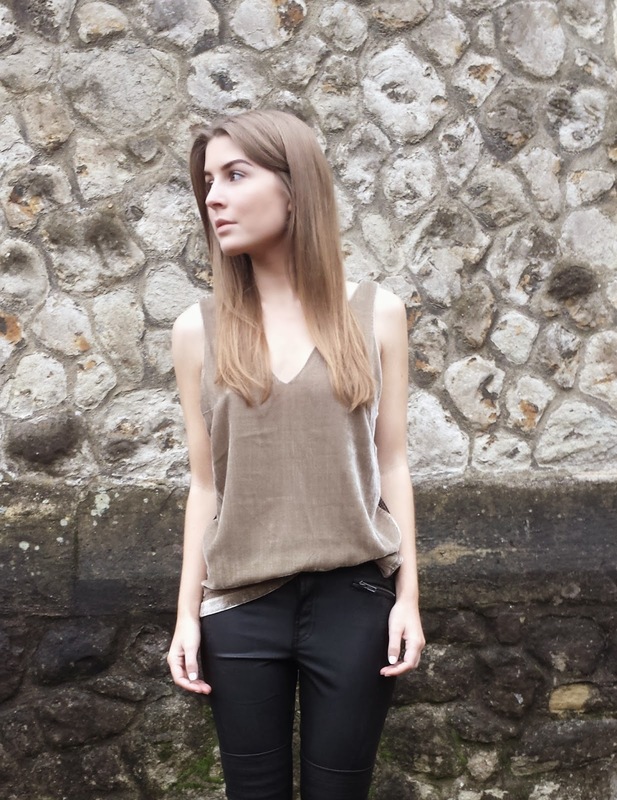 An entire outfit in one, they're comfortable, chic and something a little bit different. I love the shape and colour of this jumpsuit from Aussie label Maurie & Eve and I can pair it with flats for bopping around town or dress it up for evening; it's a staple in my suitcase for holidays too. I'm not sure if this Zara outfit errs a bit too far on the pyjama side (in fact, I have a Primark set not dissimilar...) but we've seen a lot of lingerie-esque clothing this season (hellooo slip dresses) so I think it could work! I love that it's so simple and kept with minimal accessories it could look great for evening wear, and it's something a bit unexpected! Hot new online store CAGECITY have launched a blogger competition, with the prize being £120 to spend on their site. With brands like MinkPink and Finders Keepers, this is one prize I would love to win! With party season coming up I went for an evening look, but I wanted to go for something a bit different than your usual sparkly dresses. These Finders Keepers shorts ooze minimalist cool to me, which is why I've kept the rest of the look quite simple. The high necked blouse roughly tucked in, gold cuffs on both wrists, simple black heels and a move away from monochrome with the lipstick (this colour is 'Hazard') and clutch equal a perfect outfit for bopping around London. 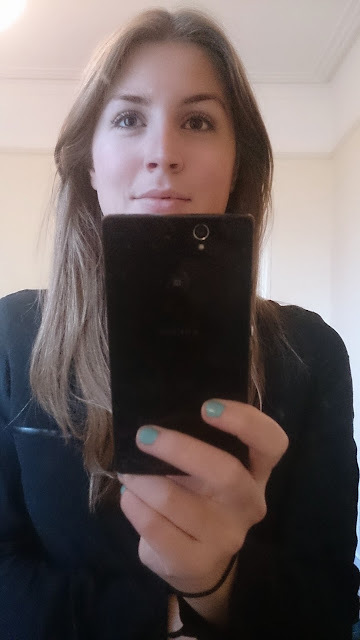 After umming and ahhing over whether to get HD brows, last week I took the plunge and went for it. I'd seen people who had them done and thought some looked great but really didn't want to end up with a scouse brow disaster! My eyebrows weren't too bad before but they were a bit uneven and had some baldy patches in places where I'd hacked away at them when I was younger. I'd spend every day filling them with Benefit's Browzings, and while it was a good kit it was a bit of a pain in the arse to do them every day. 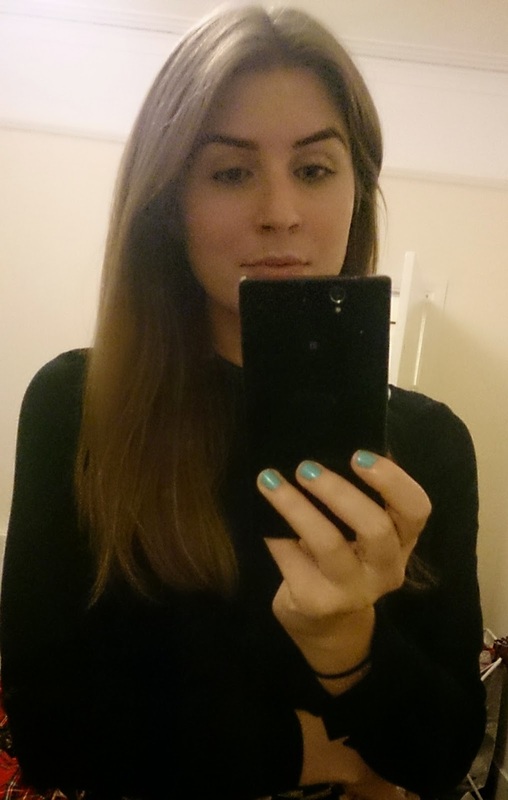 I went in to the salon in Muswell Hill the day before to get a patch test, and with no nasty reactions I embarked on my HD brows journey. The beautician did a great job - first the tint was applied, then a bit of waxing here and trimming there. As I said, they weren't too bad and the shape was pretty much there already but they needed a bit of smartening up. This is what they were like without using my Benefit kit. As you can see, the shapes are a bit different and there are areas where there isn't much hair. What do you think? Have you got HD brows?